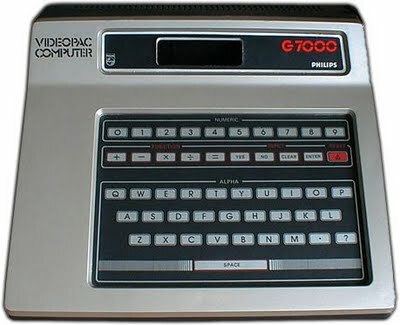 Any Phillips Videopac owners here? I have a couple one boxed and one unboxed.. I have Two unboxed consoles and aound ten games for them. I'm pretty sure that your games will work. Both the consoles and cartridges were made to be pretty tough. The only problem I did have with one of my consoles was a ribbon in one of the controllers not sitting tight enough in its slot, all things considering, was a fairly easy repair. Going to have a play over the weekend.. The boxed one was given to me in working condition so i am 100% sure that will work. Looking forward to seeing what its like. I have never even seen one, let alone played on one. All I know is that it was released in the US as the Magnavox Odyssey 2 and that the best games are supposed to be Pick Axe Pete and KC Munchkin. I'll be honest, in comparison the Atari2600 beats it hands down in all aspects but it is still fun to have a go on and an interesting console to own. Interesting to see that it still has such an active homebrew scene! I have a couple of Odyssey 2's with the voice add-on. K.C. Munchkin is better then Atari 2600 Pac Man. I had never seen K.C. Munchkin in action. Looks like a fun Pac-Man clone that introduces its own unique elements. Yep and they made a - I guess you could call it a sequel to the original. K.C. 's Krazy Chase! It uses the Odyssey 2 voice module. How different is it from the original? Instead of Munchies you have what is called a Dratapillar(not sure of spelling). Looks like a Centipede to me. The voice says things like look out and makes laughing noises. You chase the thing and it looks like trees are in the maze. I think it is better then the first game. Cool, maybe I can find a video on YouTube for it. Found a video for it!